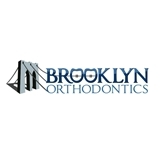 Brooklyn Orthodontics (Staten Island) - Book Appointment Online! A lifetime of beautiful, straight smiles is just a click away. At Brooklyn Orthodontics, it is our goal to ensure not only your health, but your happiness as well. As a patient of our orthodontic specialist, Dr. Mohamed AlJanabi, you can expect to receive the best treatment and results in the shortest amount of time possible. We always have your long-term dental health and best interest in mind when creating your treatment plan. Our state-of-the-art services include: Traditional braces for patients of all ages Invisalign® and Invisalign Teen™ clear aligners Clarity™ clear braces ClearCorrect™ clear aligners Incognito® lingual braces Simpli5 clear aligners Contact our Brooklyn orthodontic office to schedule your complimentary consultation with Dr. AlJanabi. You’ll learn about all the treatment options we provide, and we’ll help you choose which one is right for you and your smile. He was very professional and extremely knowledageable and explained everything.